Soak the channa dhal and toor dhal in water for about one hour and drain the water completely.Reserve 2 tbsp of dal for masal vadai. Grind the remaining dal coarsely with red chilly,fennel seeds and salt. Add only tsp of water while grinding,because the batter should not be watery. Reserve some batter for vadai and transfer the remaining grinded dal into a large mixing bowl,add coriander leaves,curry leaves,onion,ginger,garlic and mix them well. Finally add the drum stick leaves,if u want u can add the grated coconut also at this stage and mix well. 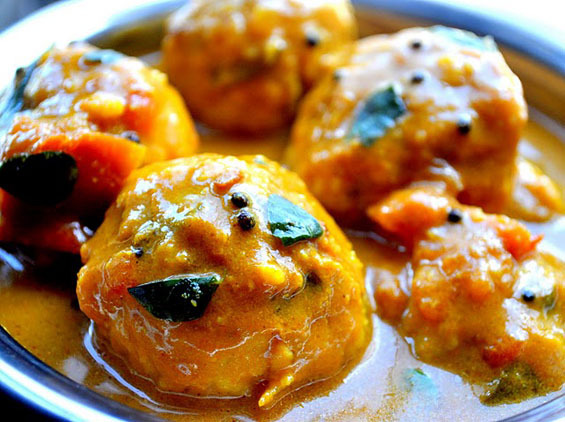 Make lemon sized balls and keep aside.Lets prepare the Kuzhambu. Heat oil in a kadai,add mustard seeds into it.Once the seeds splutter,add onion,tomato and curry leaves,fry them for a while. Add tamarind extract,fennel seed Powder,turmeric powder, chilly and coriander powder and cook in medium flame,till raw smell goes. Slowly drop the dal balls one by one,cover and cook for few minutes. Don’t stir the gravy because the balls will break.If you feel the ball may break then you can either steam the balls in idly steamer and add it to the gravy.I add directly into it.Cover it with a lid and cook until the balls are cooked well. When it boils well garnish with drum stick leaves,this gives nice flavor to the gravy. Paruppu Urundai Khuzhambu is ready to serve. We are going to use the same paruppu urundai batter for vadai.Add the reserved dal and urundai batter. Wet the hand and make a small ball. Flatten the ball using thumb. Heat the oil and drop the vadai slowly. Fry the both side and take it out. Enjoy the delicious vadai with unique flavour.That’s makes a simple lunch into feast. Wow what a feast …love the spread Prema …. nice..will try the kuzhambu sometime..
Super yummy it looks,both the kuzambu and the vadai … yummy! Romba supera irukku prema…Ithu varai muranga keeraiyil sapithathu kidayathu…Love the clicks..
Amma used to make it with mudakathan keerai…I don’t remember the name properly..
Sure tell to amma to try with this keerai…We have this tree at home..
very nice dish..I grew up with that masala vadi..Love it..nice post. beautiful pics n delicious comb,feeling to grab the plate.. Awesome spread. Looks delicious ….. Both makes me hungry,simply delicious and inviting..
What a delicious looking meal Prema- great pictures! குழம்பு+வடை 2ம் சூப்பர்ர்..நல்லா ஒரு பிடி பிடிப்பேன்.எங்கம்மாவும் இப்படிதான் செய்வாங்க.. Delicious spread,looks awesome…makes me hungry. Wow! Prema what a delicious spread!! amma seivaanga enaku romba pidikum..
Pls send me the meal perfect n all r my fav dishes n my grannys specialties.. love it so so much!!! 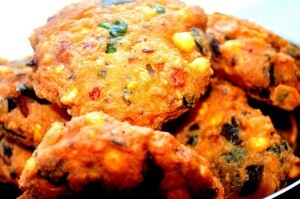 naake total ooring, prema – DELICIOUS Vadais – superb color and urundais are so yummy too – Rock on dear! Vadai and kozhumbu are looking delicious and inviting..awesome clicks. Delicious parippu urundai khzuhambu, my mom’s favorite. parippu vadai looks Delicious too. That plate looks simply superb soo much flavor.Love it. Love paruppu urundai kuzhambu, both kuzhambu and vadai looks mouthwatering! Wat a feast for our eyes.Looking great and tangy kuzhambu.Vadai looks crisp and tasty. 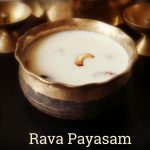 Oh iam surprised on seeing your inviting space,not sure how come i missed your blog these days .Thanks for your comments prema .Glad to follow you .Delicious parupu urandai kozhambu ,loved the presentation . Delicious gravy dear ,thanks for your comments . 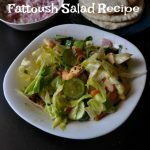 tempting recipe & lovely click..
all those pics made me really hungry! I noticed that you have not steamed the dal balls. its a different method. Quite some work but worth the effort. have to make them sometime! i love kuzumbu very much!! !my mil used to this often…adding fennel seeds powder is very interesting n surely it give nice flavour to the curry!! 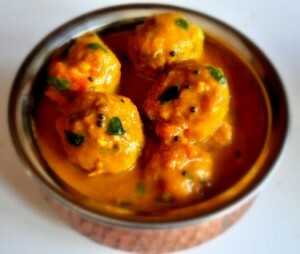 balls looks perfect n yummy!nice click! A wonderful, tempting & mouthwatering spread!! What a delicious platter..Really tempting clicks! Drooling here..
What a beautiful spread,very tempting.Thanks for stopping by my space,coz now I could drop into ur wonderful blog. 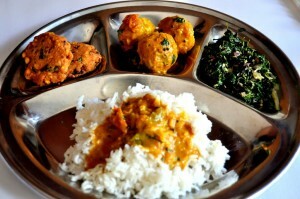 Oh my…plate looks soo good with all you have made Prema. Lovely spread, don’t know where to start from. Pass it on please. perfect meal combo.. very nicely presented. 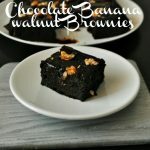 it tempts me so much.. love ur blog.. wonderful variety of recipes. 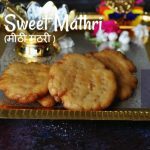 very happy to follow you and learn more from your blog..
Hi Premalatha, thanks for visiting my space and your lovable comments. 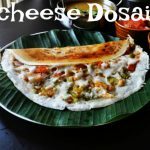 I’m amazed by the array of excellent Tamil dishes that you have presented here – each with step by step pics for clear understanding. I’m happy to follow u too 🙂 Keep up the good work!! 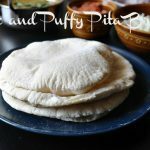 Paruppu Urundai kuzhambu is my all time favorite… its been a long time making this.. The platter in your picture is mouthwatering..
wow…the parippu urundai curry is making me drool…slurp… wish i could have some right now with some rice…masala vadai looks yummy too. You have some awards awaiting on my blog post More Awards – 14 please collect them. Thanks For sharing the awards :)Shobha!!! ooh ! la la !! paruppu undai kozhambu is somethign my grandmom used to make (of course without onion-garlic).. but ur version seems heavenly 🙂 🙂 Slurp ! slurp ! definitely bookmarked ! 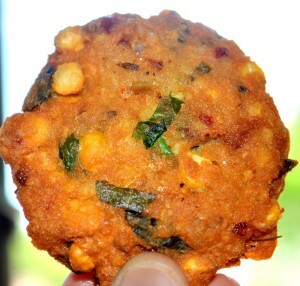 Simply awesome and mouth watering Masala Vada. Looks tempting.